Naz Edwards for Master Classes and private voice training for university/college; performing arts schools; high school students. Pricing available upon request. Specialty-Rediscovering the Great American Songbook. Naz Edwards has been called “The Inside Out Teacher.” Working from the core of a performer, she peels away the blocks that prevent him or her from truly feeling and being in the moment. Then, a “layering” process begins, in which Naz guides performers to help get in touch with their true self through vocal expression, emotions, lyric interpretation and, most importantly, storytelling. Naz finds that this “layering” process leads to a deeper connection for performers, mapping out their journey vocally and as a storyteller, which brings forth a fully realized interpretation and performance. When an audience experiences this kind of connection from a performer, they are not only engaged with the song, but deeply with the performer, and an exchange of energies happens between the two. This outcome is one a performer hopes for and an audience takes away with them, wanting more. And what better journey to take an audience on than the Great American Songbook! Naz is very passionate about this music, and has dedicated herself to bringing it to a new generation of performers in a way that encourages them to embrace its beauty and richness. Her hopes are to pass along the history of this beautiful music and to keep it alive and thriving for years to come. Besides master classes and individual coaching, Naz offers expert preparation to students preparing to audition for university performing arts programs. Naz has been a longtime Mentor for the Songbook Academy® and has helped to make the program what it is today. She has a unique ability to help students tap into the essence of a lyric and to find their special connection to the song. Naz is a master storyteller and a gifted teacher. A veteran of Broadway, regional theaters and cabaret, Naz has taught master classes in vocal performance and acting for nearly a decade. She has been part of Michael Feinstein’s Great American Songbook vocal competition for high school students and now his Songbook Academy since 2012, as a teacher, clinician and mentor. Naz also has held Master Classes for Songbook South as their guest clinician/mentor and judge. As a guest artist at the University of Michigan, she has taught Cabaret Classes in the Department of Musical Theatre and master classes in the Department of Theater & Drama. She also has been a regular teacher and clinician for The Encore Musical Theater Company’s summer programs. Additionally, Naz has been teaching in her private voice/acting studio for over fifteen years, concentrating on preparing high school age students for their university auditions, but working as well with professional adults. As a performer, Naz has graced many stages across the US and Canada. 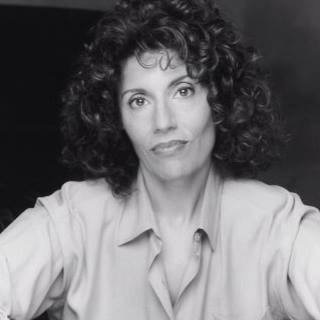 Some of her most cherished roles are: On Broadway, ZORBA as the Leader, opposite Anthony Quinn, and ANNA KARENINA (the musical) as Dunyasha; Tours, ZORBA and Ken Hill’s PHANTOM OF THE OPERA, as Madame Giry; Regional Theaters, Dennis DeYoung’s THE HUNCHBACK OF NOTRE DAME, as Mahiette, THE DROWSY CHAPERONE, as Drowsy, MAN OF LA MANCHA, as Aldonza, SHE LOVES ME, as Ilona, ONCE UPON MATTRESS, as Queen Aggravain, FIDDLER ON THE ROOF, as Yenta, FUNNY GIRL, as Mrs. Brice, THE BAKERS WIFE, as Denise, OTHER DESERT CITIES, as Polly, MY NAME IS ASHER LEV, as Mother, NOISES OFF, as Dotty, THE CLEAN HOUSE, as Woman/Ana, SOUVENIR, as Florence Foster Jenkins, and WOMAN BEFORE A GLASS, as Peggy Guggenheim.